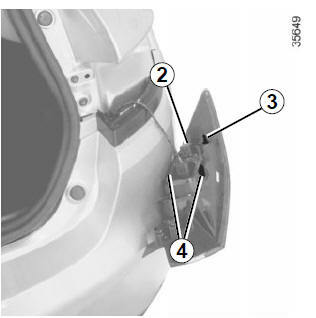 To release the light unit, start by moving the exterior edge away to a sufficient extent (movement A) to release clip 3, then pull the light unit backwards (movement B). 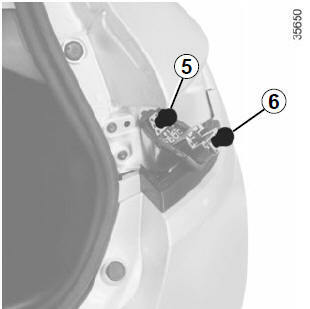 Remove the bulb holder by carefully releasing clips 4, lightly raise the bulb holder and then release clip 2. 5 Side light and brake light Bulb type: P21/5W. 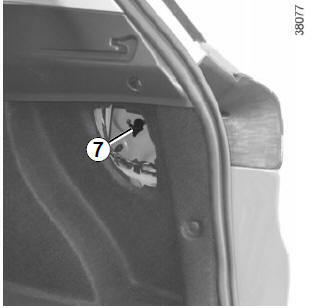 Side lights/brake and direction indicator lights Unclip the cover to access nut 7. 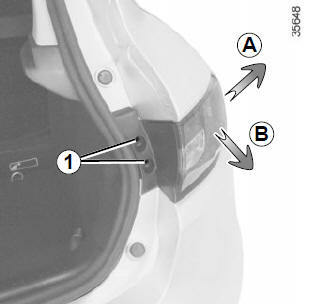 Pull the light unit backwards (movement A). 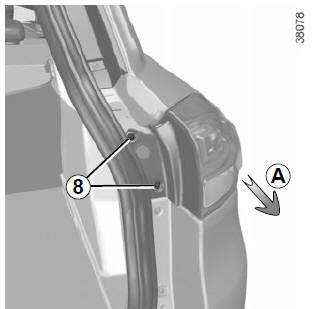 Remove the bulb holder by carefully releasing clips 9, and gently pull the bulb holder. 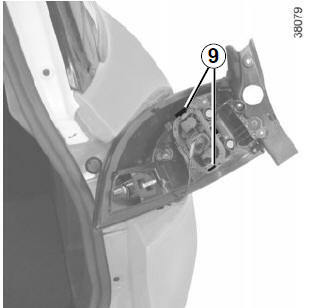 Refit the bulb holder and push the unit as far as it will go, until it locks into place. Tighten the screw 8 and nut 7. 10 Side light and brake light Bulb type: P21/5W. 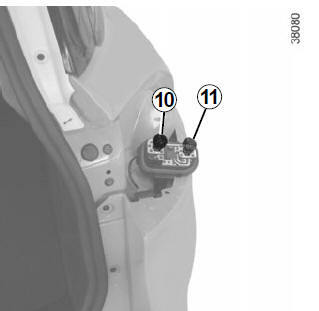 11 Direction indicator lights Bulb type: PY21.